Olson, who previously worked for United Continental Holdings and Starbucks, said he landed the job with "zero healthcare experience." 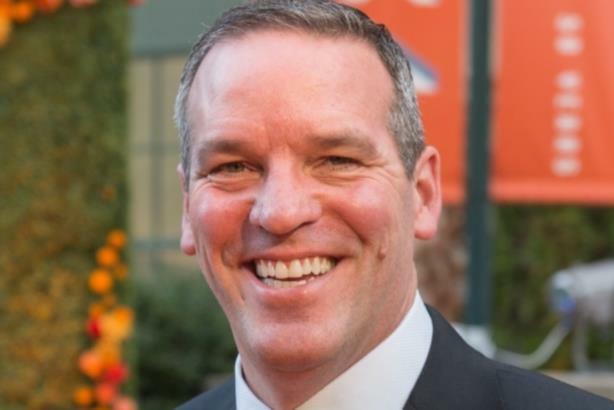 DALLAS: Healthcare network Steward Health Care has hired Jim Olson as its chief communications officer, a newly created position. Olson starts in the role on September 1 and will be based in Steward’s newly-minted Dallas headquarters. He will report to CMO Brian Carty, who oversees a team of 10 marketing and communications staffers. Olson will be Steward Health Care’s chief spokesperson. Additionally, he will oversee the company’s public image, global comms strategy, employee engagement, and digital storytelling efforts. "One of my first orders of business is understanding the [company] and sector, and building a winning and compelling and disruptive strategy for telling the Steward story," Olson said. Launched in 2010, Steward is a private, for-profit healthcare network that operates 38 hospitals in the U.S. and Malta and employs 40,000 healthcare professionals. After acquiring Iasis Healthcare last September, Steward estimated it would bring in $8 billion in revenue for 2018. The healthcare industry is a new area for Olson. Four months ago, Olson formed his own agency, Hangar 6 Strategic Storytelling. Prior to that, he was SVP of corporate comms at United Continental Holdings. A statement said his remit included global PR, employee advocacy, social media, and creative services. His tenure at United saw the company involved in high-profile union contract negotiations, a shareholder activist battle, and social media outrage over its customer dress code, which is now known as #LeggingsGate. In April 2017, the airline was embroiled in controversy after a passenger on a Louisville-bound flight was dragged off the plane. Olson resigned from his post at United in January 2018. Before working at United, Olson had stints as VP of corporate comms at Starbucks and U.S. Airways before its merger with American Airlines in 2013. Prior to that, he was SVP of the global corporate practice at Waggener Edstrom Worldwide and a VP of corporate comms at Yahoo. "I was like, ‘Do you really want to talk to me? I have zero healthcare experience,’" Olson said of the time Steward reached out to recruit him for the job. "And they said, ‘That’s exactly what we want, someone who will bring a fresh perspective, because Steward is a fresh perspective for the industry.’"